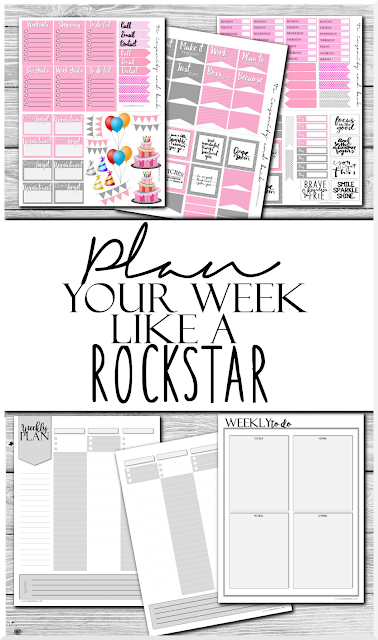 Are you ready to PLAN your week like a ROCKSTAR? 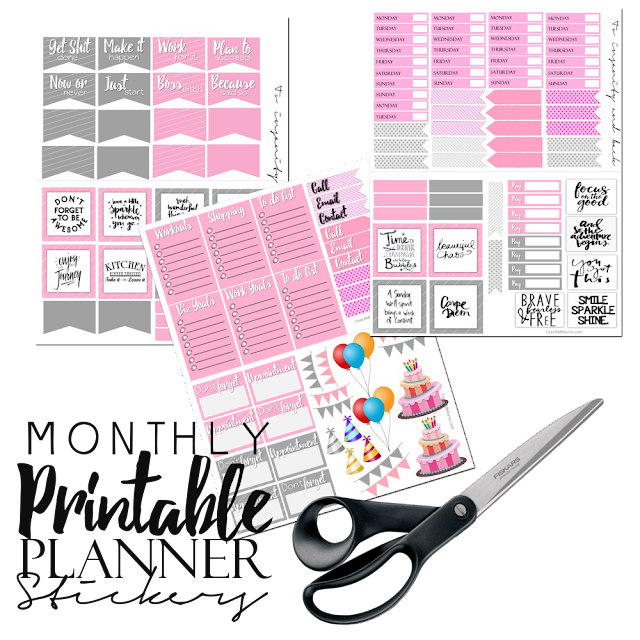 Have you seen all those AMAZING planner stickers all over the web? Gorgeous layouts all jazzed up with some of the cutest functional and motivational stickers! I'll admit as someone who has been planning for years when I first started seeing them I thought it was just a "phase".... But I'm telling you my friends this craze is LIVE, real, and I want to be apart of it! Ever since I created my new 12 month agenda (pictured at the bottom) I jumped on the sticker bandwagon. 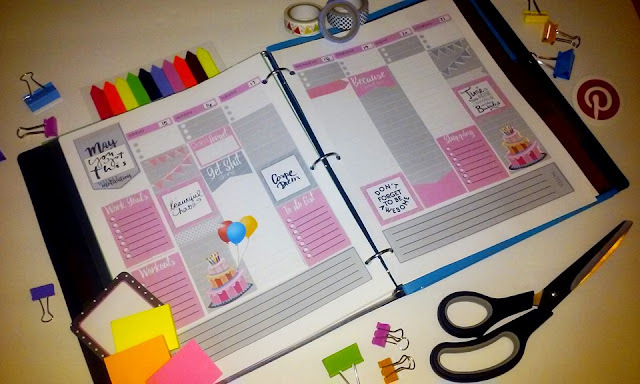 This has to be one of my NEW favorite ways to plan and I want to share it with YOU! 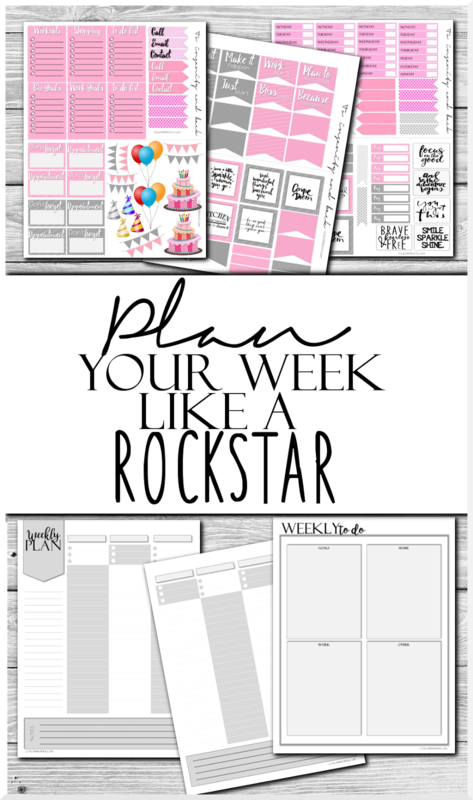 Planning your week like a ROCKSTAR is all about getting started! This kit includes a two page weekly vertical layout, as well as a weekly to do list that covers goals, home, work, and other. With these pages you can plan your day, create your lists, and manage everything you have going on! You will also get three pages of fun little planner stickers you can use to add some FLAVOR! 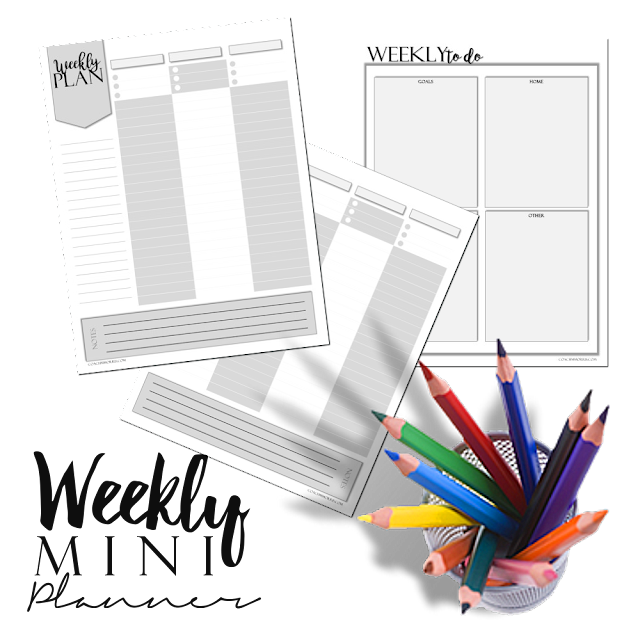 Are you ready to SNAG your free weekly "mini" planner kit? Just sign up for my news letter and it's ALL yours! BUT wait... that's not the best part! When you sign up not only will you get this kit, you'll also get new kits, tips, and other freebies delivered right to your inbox! This is an exclusive for my email subscribers ONLY! This is a PDF file that can be printed at home. You can use Avery full size label sheets or half size for the stickers. The store was actually sold out of full size when I went so I ended up using the half sheet and it worked perfect! We all need this weekly planner to help us manage our daily task. It can help managed out future plans for our business web page and every upcoming events that we need to attend on a weekly basis. Hey! I loved your "mini planner kit". I am also using this planner "Design in 365days" which was introduced to me by my business friend. Really helping me scheduling my tasks and goals. You should check it out. https://goo.gl/sn9FSo. 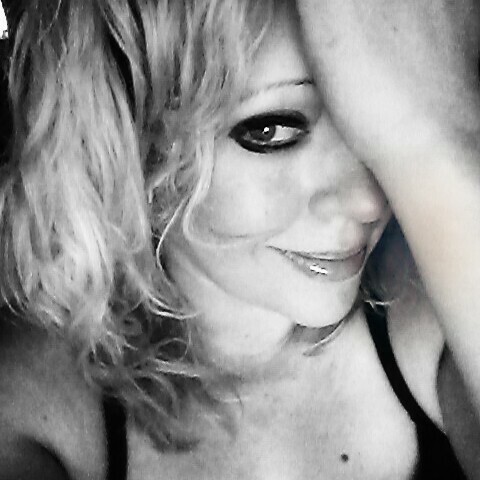 and Let me know how you like it. To make your own agenda is rational. I also do the same. First of all, I make plans for a year, then for 6 moths, and then for a month. Next step in my plan for this month is to buy personal statement online. It's my home task and I'm not able to for it by myself that's why I trust it for the professionals.